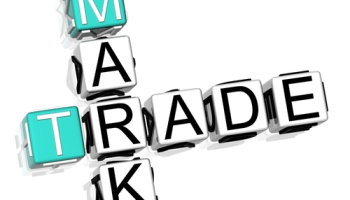 Trademarks like any asset or property can be transferred from one owner to another. Assignment or transmission of a trade mark is the process by which ownership of a registered trade mark or a trade mark application may be passed from one party to another. In other words, it is transferring of proprietary rights in the property of the proprietor. A registered or unregistered trademark is a corporal property and it is assignable and transmissible under the law. Chapter V of the Trade Marks Act, 1999 deals with the assignment and transmission of the trade marks. 1. Complete Assignment to another company - In a complete assignment, the owner of the trademark transfers all the rights with respect to the trademark, including the transfer of the rights such as right to further transfer, earn royalties, etc., to another entity. 2. Partial assignment of trademarks - In a partial assignment, the transfer of ownership is restricted to specific product or service only. 3. Assignment with goodwill - Assignment with goodwill means an assignment where the owner transfers the rights and value of the trademark as associated with the product it sells. 4. Assignment without goodwill - Assignment without goodwill means an assignment where the owner restricts the assignee to use trademark for the products he uses it for. According to section 38 of the Trade Marks Act, 1999, a registered trade mark can be assigned with or without the goodwill of the business concerned and in respect either of all the goods or services in respect of which the trade mark is registered or of some only of those goods of services. According to section 39 of the Trade Marks Act, 1999, an unregistered trade mark may be assigned or transmitted with or without the goodwill of the business concerned.